China's industrial robot output increased 8.7 percent year-on-year in the first 10 months of 2018, slower than the 9.3-percent growth for the January-September period, according to official data. Chinese public manufacturing companies accounted for nearly half of the country's stock market capitalization thanks to government emphasis on innovation-driven development and the real economy by the end of June this year. One of China's underwater robots, the Haixing 6000, recently set a national depth record for a Chinese remotely operated vehicle, by diving 6,001 meters below sea surface during its first research expedition. China's industrial robot output increased 9.3 percent year on year in the first nine months of this year, a slower growth rate than in the January-August period, according to official data. China's investment in manufacturing grew 8.7 percent year-on-year in the first three quarters of 2018, signaling that corporate expectations for the future of the economy are improving despite mounting global trade uncertainties. China's intelligent manufacturing market will exceed 220 billion yuan (31.8 billion U.S. dollars) by 2020, according to a recent report. China has developed a lower-limb rehabilitative robot which will soon be put into clinical use, according to the China Science Daily on Monday. 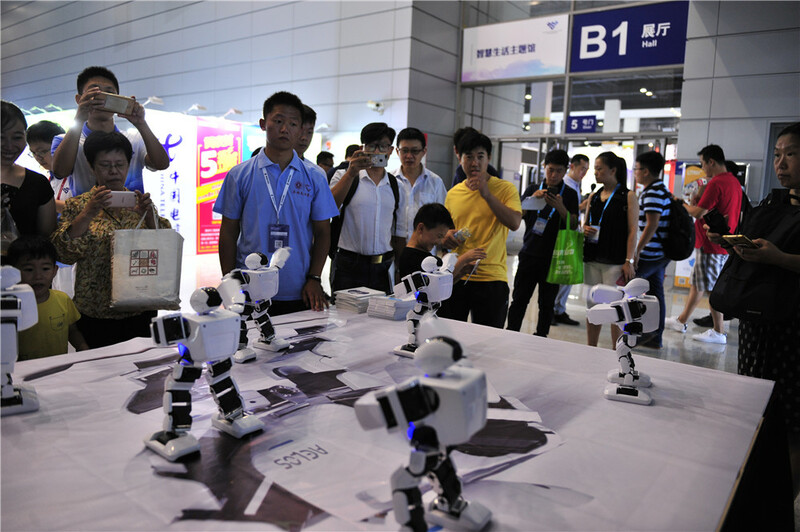 China's industrial robot output surpassed 100,000 in the first eight months of the year, according to official data. In a sprawling warehouse in Tokyo, several robots made by Chinese company HIT Robot Group are busy picking and stacking goods on to the shelves.